A TEENAGE member of Downend’s Air Cadet unit has won a top award. Cadet Warrant Officer Charlotte Moss, from Emersons Green, won the Mike Kendall Trophy for the best cadet in the organisation’s Bristol & Gloucestershire and Devon & Somerset Wings. The 19-year-old first won an award as the best female cadet in the Bristol & Gloucestershire Wing before going on to take the regional trophy. 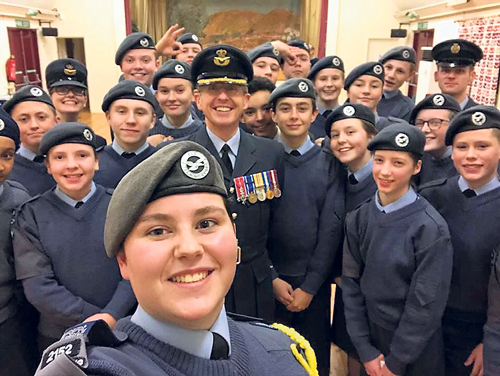 Flying Officer Emma Henderson RAFAC, Officer in Charge of 2152 (Downend) Detached Flight, said Charlotte had been recognised for her continued commitment to the Air Cadet Organisation. Over her time in cadets she has attended the Royal International Air Tattoo, various wing camps, gained qualifications in first aid and BTECs in Aviation Studies and Public Services. Last summer she represented the Air Cadet Organisation on an international exchange to Australia. “On top of all of this she has been an example to all the cadets that she has encountered and been a role model to lots of cadets over the years,” said Fg Off Henderson. Charlotte’s parents joined the staff and cadets at St James church hall in Mangotsfield to see the award presented by Group Captain Eddie Cole, the Regional Commandant of the South West region. Also in attendance was Wing Commander Dave Cox, Wing Commander of the Bristol & Gloucestershire Wing and the Central Sector Commander, Squadron Leader Jim Brimble. The Downend DF meets on Monday and Wednesday evenings and cadets take part in a variety of activities from flying, gliding, shooting and fieldcraft to sports, music, community assistance and social events. It has around 30 cadets from the local area and new recruits are always welcome. 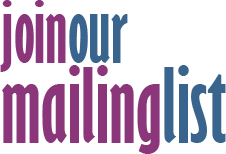 The organisation is open to 12 to 17-year-olds, although those who are 12 must be in Year 8 at school. For more details email 2152df@aircadets.org.